We are inching closer to the launch of the Galaxy S9 and S9+. We already saw most of the details about the upcoming flagships, however, today we have almost all the details, specifications and even the rendered images leaked ahead of the MWC 2018 announcement. The Galaxy S9 and S9+ will be powered by the Snapdragon 845, run on Android 8.0 Oreo. Looks wise, the Galaxy S9 and S9+ look almost identical to the S8 duo from last year except for the rear fingerprint sensor placement. The S9 duo will retain the Infinity-display with narrow bezels on all corners. 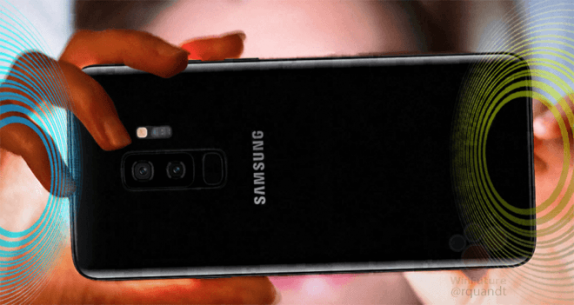 The Galaxy S9+ will have the dual-rear camera arrangement with 12MP rear camera, variable aperture of f/ 1.5 and f/ 2.4 for the primary camera, 12MP secondary rear camera with f/2.4 aperture, and an 8MP front camera with f/ 1.7 aperture. On the other hand, the S9 will just have a single rear camera with a 12MP sensor with f/1.5 and f/2.4 variable aperture and can record videos at 960 fps. As expected, the Samsung Galaxy S9 sports a 5.8-inches Quad HD+(1440 x 2960 resolution) on the other hand, the S9+ packs a 6.2 inches with the similar resolution. Outside of the USA, the S9 and the S9+ will be powered by the Samsung’s very own Exynos 9810 clocked at 2.9GHz Octa-Core processor. There is 4GB RAM and 64GB storage, while the S9+ will feature a bigger 6GB RAM and same 64GB storage. Furthermore, the Samsung Galaxy S9 and S9+ are IP68 certified, Fingerprint sensor, microSD card slot for memory expansion up to 400GB, Iris scanner sensors, face recognition, stereo speakers. Connectivity options include USB Type-C, LTE, Bluetooth 5.0, Dual SIM, Dual-band WiFi. A 3000mAh battery on the S9 and 3500mAh battery on the S9+. 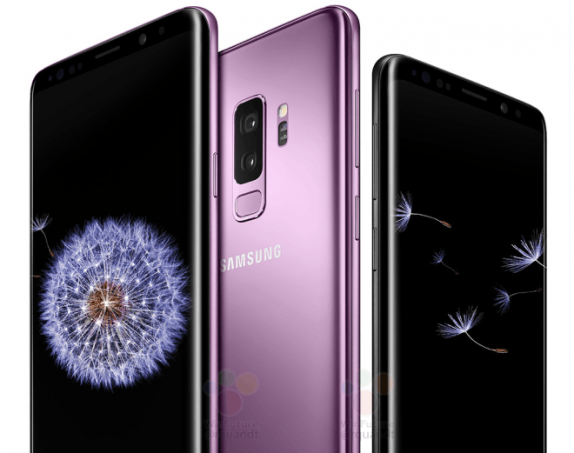 The Samsung Galaxy S9 and S9+ will come in Midnight Black, Titanium Gray, Lilac Purple, Coral Blue colors. It is also said that Samsung will begin pre-orders on the launch date and will start deliveries from March 8th. As for pricing, it is also reported that the Samsung Galaxy S9 duo will be $100 costlier than the S8 from last year.